We’re always looking for new books to add to the West Virginia and Regional History Center Reading Room Collection. Recently we added four new books we thought our patrons would enjoy. 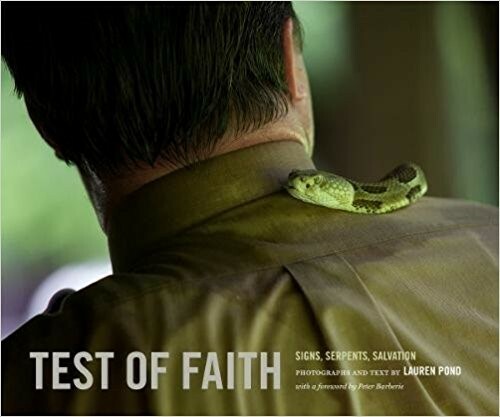 Lauren Pond’s Test of Faith: Signs, Serpents, and Salvation, is a photographic documentation of one man’s devotion as displayed through his belief in snake handling. Pentecostal snake handling stems from the Gospel of Mark, 16:18. “They shall take up serpents; and if they drink any deadly thing, it shall not hurt them.” King James Version (KJV). Ms. Pond, an award winning photographer, closely followed the career of Jolo, West Virginia pastor, Mack Wofford. She photographed Pastor Wofford during services while handing snakes, and when he died of a venomous snake bite in 2012. Her book both examines and eulogizes Pastor Wofford and his faith. 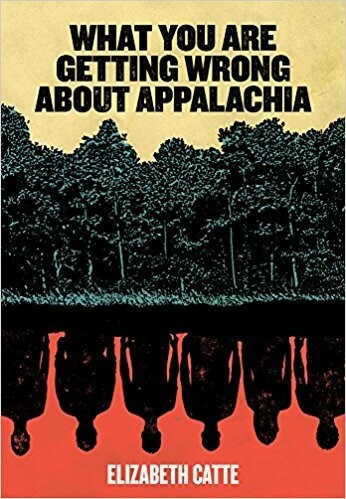 Author Elizabeth Catte has caused a stir with her new book, What You Are Getting Wrong About Appalachia. Often described as a retort to J.D. Vance’s Hillbilly Elegy, Catte talks passionately about Appalachia and how those outside the region interpret it. Catte is a public historian, a writer and director of Passel Historical Consultants, which she describes as a “full service firm specializing in socially-conscious community history.” She can also add a new role to this line up, editor-at-large for WVU Press. Following the 2016 election, Catte found herself answering questions about Appalachia posed by people in her new home in the state of Texas. Media reports on Appalachia’s “forgotten tribe” of white workers and other oft-repeated inaccuracies inspired her to talk back with this boldly titled book. 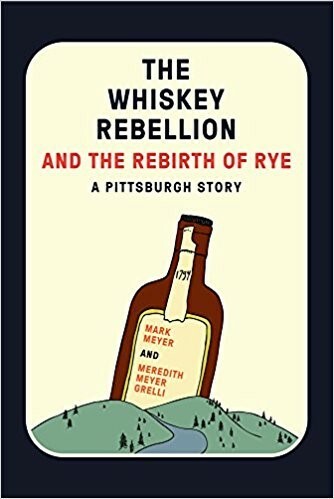 The Whiskey Rebellion and the Rebirth of Rye: A Pittsburgh Story by authors Mark Meyer and Meredith Meyer Grelli. Historically, whiskey was among the first of the distilled liquors produced in the earliest days of the nation. Farmers distilled their surplus grains, such as corn, barley, wheat and rye, in order to make whiskey. In 1791, President George Washington established a tax on whiskey, and all distilled liquors. The revenue from this tax was to raise funds to pay off Revolutionary War debts. However, taxation did not sit easily with farmers. The protests on the “whiskey tax” that followed has been referred to as the Whiskey Rebellion. Western Pennsylvania, and what is now north-central West Virginia, was heavily involved in the Whiskey Rebellion. One of Morgantown’s earliest attorneys, Col. William McCleery, who fought under Gen. Washington during the Revolutionary War, was appointed Monongalia County’s collector of internal revenue. The protests became so heated that a mob of thirty men from Pennsylvania rode into Morgantown with plans to kidnap McCleery. Faced with the common form of vigilante justice at the time, tarring and feathering, McCleery beat a hasty retreat out his back door, resigned his position, and escaped. Using the history of whisky and the Whiskey Rebellion as their inspiration, the authors, co-founders of Wigle Whiskey, a family owned and operated distillery based in Pittsburgh’s Strip District, explore rye whiskey’s revolutionary origins in western Pennsylvania. They also look at the role of Gilded Age robber barons in developing the rye industry, and the re-emergence of craft distilling in the twenty-first century. Their book includes an illustrated guide on how to make rye whiskey as well as several cocktail recipes. 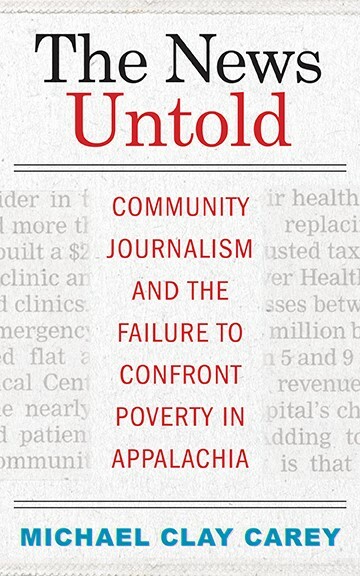 In some regards, readers may see two of the books in this post, The News Untold, and What You Don’t Know About Appalachia, as sharing perspectives. Carey’s perspective is not all that different from Catte’s view. Both look at the perceived poverty of the region, both argue that new approaches are needed when discussing Appalachia. Both books also stem from a media perspective. How is Appalachia portrayed by the media? What topics are covered when reporting on Appalachia? These are just some of the questions that come into play when talking about the region. Carey’s book urges us to “look past old stereotypes,” of poverty, pointing out that news coverage at the local level can rewrite that discussion; while Catte urges a greater understanding of the region and its people that is also reliant on looking beyond tired stereotypes. Books, like these, are an important part of our collections. They can inspire, inform, amuse, and restore us. To see these books, or others on similar topics, or to see the William McCleery papers, stop by the West Virginia and Regional History Center. We’ll be glad to help.